Courtesy of Nelson Real Estate, Meredith Nelson. WOW is all you can say about the views from this spectacular country home! Stunning architecture w/vaulted ceilings and amazing, unobstructed front range views! New carpet and drapes in the master bedroom & office. Upgraded kitchen and master bath. Huge wrap around deck with built-in gas grill. Finished walk-out basement with wine room, steam shower and room to finish a 4th bedroom. There is an irrigation pond for watering the 38 acres. Ten shares of Big T & 2 shares of Supply Ditch included. Driving directions: From County Line Road, west on Vermillion, north of Vermillion Trail. Right by the mailboxes then stay left. Follow up over the bridge to the circular drive in front of the house. 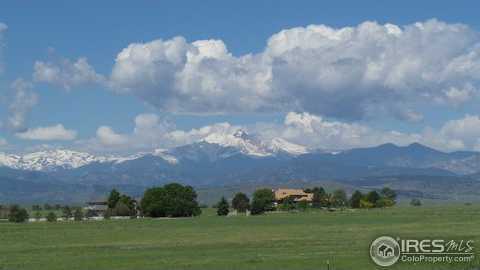 Please, send me more information on this property: MLS# 832645 – $1,999,900 – 13542 Vermillion Trl, Longmont, CO 80504. I would like to schedule a showing appointment for this property: MLS# 832645 – $1,999,900 – 13542 Vermillion Trl, Longmont, CO 80504.